Coughing is common symptom seen with many different diseases, especially respiratory tract infections. It occurs as episodes with conditions like the common cold or flu and if there are no complications such as bronchitis it may resolve within a few days to a week. There are different types of cough and sometimes the sound of the cough may vary, which is the case with a barking cough. A barking cough simply refers to a cough that sounds unusual. It is often said to resemble an animal bark, hence the term barking cough. This type of cough is generally harsh, loud and hoarse. A barking cough usually indicates inflammation of the voice box or windpipe (trachea). It is therefore more frequently seen with conditions like croup but can also occur with other respiratory conditions. Many of the causes of a barking cough tend to be more common in children. However, adults may also develop some of these conditions and therefore also experience a barking cough. Sometimes a barking cough can be relieved relatively quickly with humidified air but this does not mean that the underlying cause has been resolved. Irrespective of the sound, the cough needs to be investigated and the causative condition appropriately treated. Why do some coughs sound like a bark? It is important to understand the reflex actions and processes that lead to a cough. Most of the time a cough is caused by an irritation in the airways or lungs. Specialized receptors in the airway known as pulmonary irritant receptors are stimulated by irritants or inflammation of the tract. It sends signals to the brain which in turn sends signals to the various organs and structures to initiate coughing. First there is deep inhalation and the lungs fill up with air. The epiglottis and vocal cords close to keep the air in while the respiratory and abdominal muscles contract firmly to increase pressure within the lungs. Once a sufficiently high pressure is reached the epiglottis and vocals cords open and the air is forced out forcefully as a cough. The sound of the cough may be altered as the flow of air passes the various structures like the epiglottis and larynx. Usually when the epiglottis and larynx is enlarged the change in the tone of the cough resembles a bark. Typically the cough is spasmodic and this further contributes to the barking tone. There are various causes of a cough that may sound deep and hoarse. Not all of these coughs may be described as a barking cough, apart from croup where the barking cough is characteristic. Sometime more than one of these conditions occur simultaneously and overlapping of these cough symptoms can sound like a bark. It is important that the underlying condition is diagnosed by a medical professional and treated accordingly. Croup is also known as laryngotracheobronchitis because the infection causes inflammation of the larynx, trachea and bronchi. A barking cough is more commonly heard in croup. 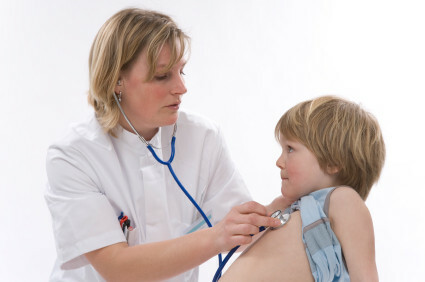 It is a common problem in children during the winter months and generally follows the cold. Although the common cold is primarily an upper respiratory tract infection, the same virus can affect the lower airways and result in croup. It is usually not serious. Pertussis is a contagious bacterial infection of the respiratory tract. It is commonly referred to as whooping cough. The causative bacterium is Bordetella pertussis which is transmitted from person to person through droplet spread mainly through coughing and sneezing. Although the cough is not typically described as a barking cough, the term may sometimes be used to describe whooping cough. Asthma is a common chronic respiratory condition where the airways narrow for periods of time thereby limiting airflow in and out of the lungs. This narrowing is reversible and is mainly due to the bronchi and bronchioles constricting abnormally. A barking cough in asthma is usually seen with acute attacks. 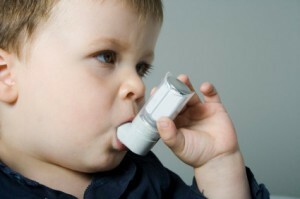 These asthmatic attacks can sometimes be severe and even life-threatening if not treated promptly. Laryngitis is inflammation of the larynx (voice box and vocal cords). This is a common condition usually due to infections but can sometimes occur for other reasons. Most cases of laryngitis are acute and leads to a hoarse voice, whispery voice or loss of the voice. It often occurs as a complication of common viral infections, particularly the seasonal flu but sometimes with the common cold. Epiglottitis is a condition where the epiglottis becomes inflamed. This is usually seen with viral and sometimes bacterial infections. The epiglottis is a flap that closes when swallowing food or fluids. It prevents the entry of food or fluids into the lower airway. When breathing, it opens to allow for the movement of air. Epiglottitis often occurs in conjunction with laryngitis (inflammation of the voice box). Diptheria is an uncommon bacterial infection of the respiratory tract. It is caused by the bacterium Corynebacterium diphtheriae which is easily spread through airborne droplets and contaminated objects (fomites). However, it is uncommon in developed countries these days due to widespread immunization programs. The infection cause inflammation of the nose and throat with narrowing of the throat to the point that airflow is impaired. Bronchitis is inflammation of the bronchi and bronchioles, the lowest parts of the airways that leads to the lungs. It can be acute where it often arises with an infection, or chronic when associated with airway diseases as a result of cigarette smoking. The cough is usually spasmodic and persistent. It is usually productive and not commonly barking in nature but may sometimes be described as a barking cough. A foreign object in the airway can block the flow of air. This may be seen with choking as a person attempts to cough in order to force out the foreign body. Most of the time foreign bodies are inadvertently swallowed when placed in the mouth. However, sometimes large chunks of food can enter the airways and cause an obstruction.